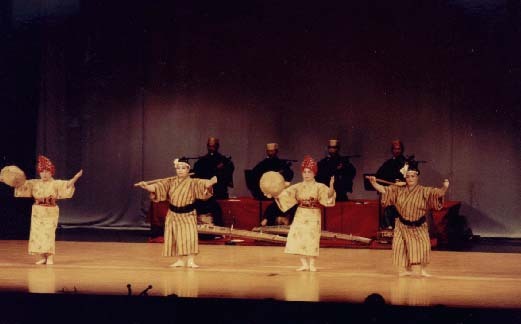 This dance depicts the life of the fisherman village, Tancha. Rhythem of the dance suggests rowing of the boats in the choppy waves. The fisherman return home and hand over their catch to the women who sell to the nearby villagers.